Description - Your feet will feel like playing a concerto when they walk across Beaulieu's Concerto Carpet. Great for any room in your home, this carpet is especially perfect for bedrooms, living rooms, and family rooms. Treated with Scotchguard, this carpet is resistant to fading and staining and is perfect for any on-the-go-family. So no more making Fido and the kids to play outside. Now they can play in the comfort of your home. A lifetime warranty backs Beaulieu Concerto broadloom carpet. Material - 100% Softsense Filament Polyester. 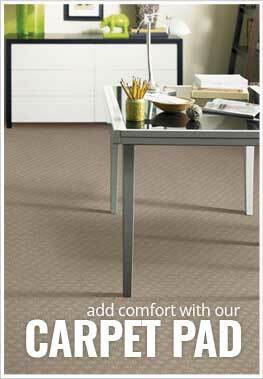 Recommended Uses - Beaulieu's Concerto carpet is the perfect broadloom carpet for your home. This carpet has been installed in family rooms, living rooms, bedrooms, in spare rooms, as dining room carpet, in basements, in dens and much more. Fade and stain resistant. Scotchguard treatment. Soft, comfortable and warm carpet.